Your treasured possessions while stationary are safe but what about when they are moved? Quality Furniture Movers Interstate Removal take this question seriously and aim to ensure the safe moving of all your items. This is something you need to think about when moving out to your new home. Moving your furniture from one place to another is a difficult job and should be handled by professional movers. It’s a tiresome and dangerous job to do. This is where a need for an expert and qualified furniture movers comes to reality. Employing the services of furniture movers would ensure you that all your treasured possessions will be transported safely and with utmost care to your new home. 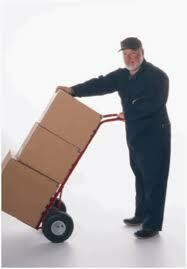 Finding a reliable furniture movers company is easy. There are a lot of listings of these kinds of services available online. You just have to be more patient in locating the best furniture mover company. The moment you have already chosen a particular furniture movers firm, your next task is to set an appointment with them. Adequate planning is a necessity before moving all your furniture. Make a physical count of all the furniture that needs to be transported. Having inventory of your items the furniture movers to move will make it easier for you to ask for a quote of the price for your particular need. You can now already contact their services and ask for their different moving packages. Label all your furniture and other boxes for easy handling on the part of the furniture movers. Conduct a lot of surveys before committing yourself to the services of furniture movers. Compare their rates and find one that suits your budget and moving needs. Hope these tips will make you wiser in selecting the most reliable and well-experienced furniture movers company. Don’t be in a hurry to hire anybody who claims they are professional furniture movers. Ask friends or family who have moving experiences or check out online testimonials. By doing this, you are eliminating the chances of falling to the wrong furniture movers firm. Be more vigilant when it comes to your furniture concerns. Take charge of all your moving plans. Hire the best furniture movers company you can find.